Click the button below to add the Collins 62S-1 VHF converter 50-54 MHz and 144-148 MHz Modes CW, SSB or AM In Excellent Condition with HV Cable & Gain Knob for rear Panel to your wish list. 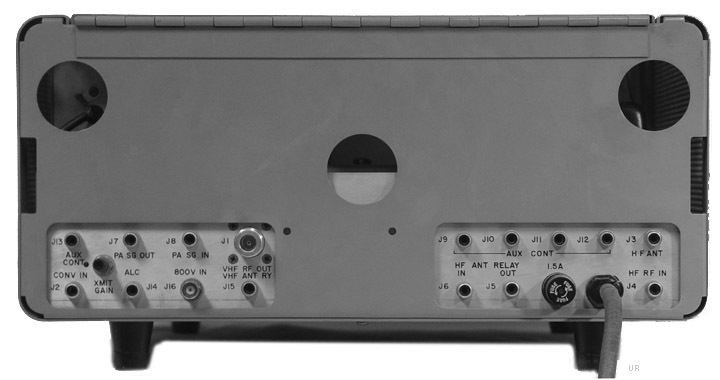 The Collins 62S-1 is a VHF converter, adding both 6 meter and 2 meter operation to your KWM-2 or KWM-1. With supplied crystals this unit will cover 50-54 MHz and 144-148 MHz in 200 kHz bands. Modes are CW, SSB or AM. Input power is 160 watts and power output is 65 watts PEP into a 50 ohm load. rear panel Gain control extension knob. Most sold do not have either of these items. Inside this one is super clean and unmodified. The Cabinet has been professionally restored by Howard Mills. The cabinet and trim ring were stripped and refinished with the correct Collins Matching baked on enamel. It looks brand new. This was part of a working station when I took it down. I have powered it up but have not used it myself. I am selling this item as is as described, for a friend who has to downsize due to moving.